I’m pretty sure that everything I got is from the Christmas range, apart from one Bath Bomb. Let’s just get into the haul, you’ve seen the picture you know what you’re in for. Golden Wonder is such a classic, and something that would shock me if it didn’t come back year after year. I reviewed this a couple of years ago, so if you’d like to see how it looks in the water then I’ve got you covered. The scent is on the citrus scale, as it contains cognac oil, lime oil and sweet orange oil. If you’re after a spicy festive scent then this is not it. It is a truly beautiful bath bomb though… the price just kills me a little. This is another bath bomb that has been around for a while. It’s undergone a few makeovers over the years, and the scent has changed this year. It used to share a scent with Twilight, so it was calming and contained Lavender. Now it shares its scent with The Comforter which is basically blackcurrant. It contains Cassis Absolute, Bergamot Oil and Cypress Oil. I’m not a massive fan of the new scent, as I think it could’ve benefited from a more festive scent rather than Ribena. It looks beautiful in the water and I have a post on this from last year if you’d like to see it in the water. I was a little unsure about this one, as I don’t like all of the holes. I’m just very intrigued about the end result, so if I don’t look at it too much then it should be fine. There is a small amount of silver glitter throughout which does look pretty though. 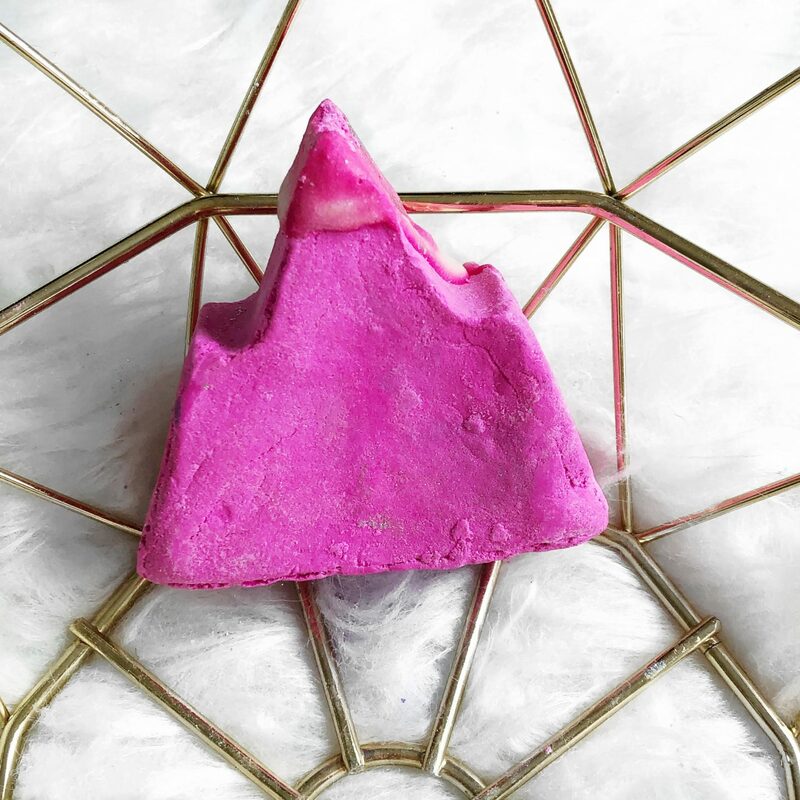 It contains Rose Absolute, Soya Milk Powder, Sandalwood Oil and Sicilian Lemon Oil. I actually love the scent of this, but I’m finding it hard to describe. It doesn’t seem that festive to me, but still a little warm with a sweet undertone to it. 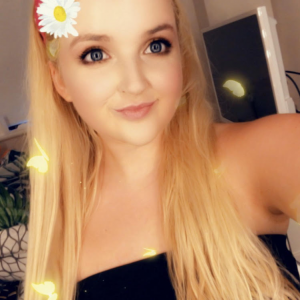 Do I sound like I know what I’m talking about?…. I have seen this bath bomb everywhere, so I was shocked to find it still in stock when I placed my order. Saying that I’m not sure if its limited edition or not. I’ve looked about, but no where seems to say. I can only assume it’s here to stay. This bath bomb is inspired by Ariana Grande, so it’s already a winner. The colours are beautiful, and it is dipped at one side. There is also silver shimmer running throughout. This one contains Jasmine Absolute, Sandalwood Oil, Oudh Oil and Fair Trade Colombian Cocoa Butter. I’m not getting any better at describing scents, but this one is one of my favourites. That’s helpful I know. I nearly overlooked this one, until I saw it was the updated Candy Mountain. I know, I was shocked too. In my humble opinion it’s not as cute as it used to be, but it’s not all about appearances. This looks like it’ll make pretty pink bath water, so that’s all that counts. Plus it still has the classic snow fairy scent, which is always a good thing. It contains: Vanilla Absolute, Fair Trade Shea Butter and Fair Trade Organic Cocoa Butter. Written like that it doesn’t sound that sweet, but trust me this thing is sweetness overload. I’ve seen this a few times on the Lush Instagram page and I was blown away by the results. I tend to overlook bath melts, as I never thought the results were that good. From what I’ve seen the results are beautiful. The glitter does seem a little excessive and I’m already not looking forward to cleaning the bath after this bad boy. This one contains Ginger Oil, Murumuru Butter, Lime Oil and Almond Oil. We’ve both established that I can’t do scents by now, but this one seems sweeter than the rest. It’s definitely another of my favourites. Back at it again with the helpful content. As soon as I saw that Sleepy had been brought out in a shower gel I knew that I needed it. Sleepy shares a scent with Twilight and also with the body lotion of the same name. It contains: Oat Milk, Lavender Oil, Benzoin Resinoid and Tonka Absolute. Which makes for a very relaxing scent. I’m going to be using this when I have a last-minute shower before bed, as this is the perfect scent for night. 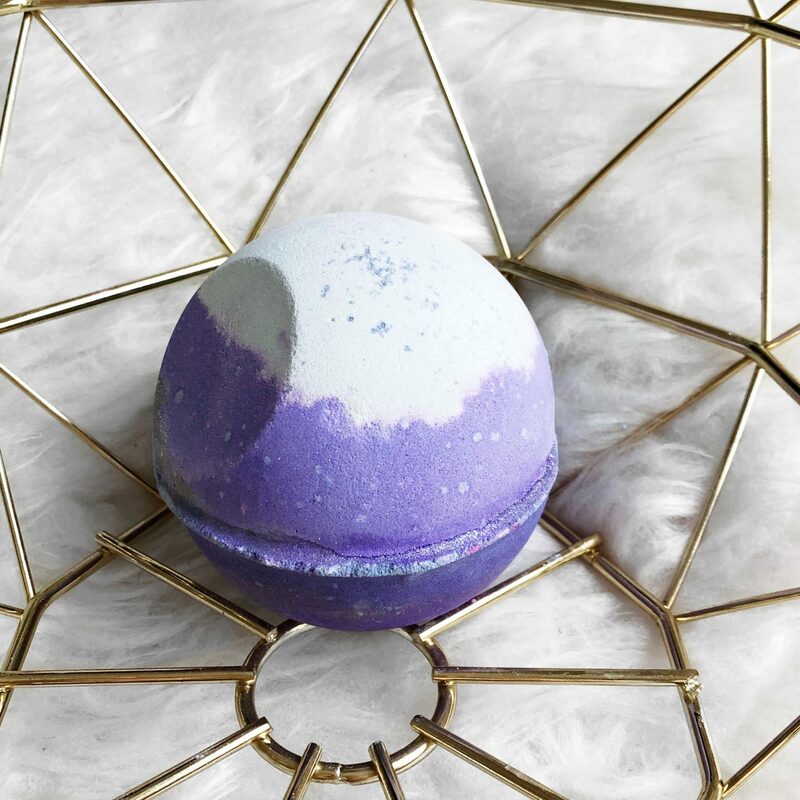 The lavender is relaxing without being over powering, so it’s perfect to drift off too. I’m not going to lie I thought this was a moisturiser. That was until I uploaded this photo onto Instagram and read the small print on the pot. Straight away, I was confused at: ‘You need only step into the shower‘. I’ve now found out that this is a moisturiser, but you have to rinse it off. Which is a new concept for me. 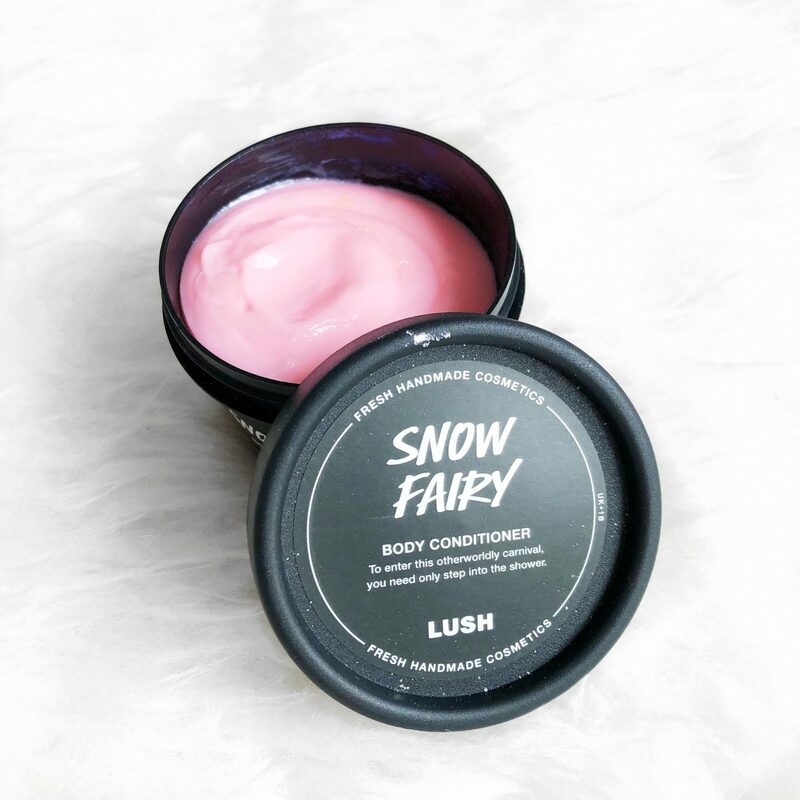 This has the classic snow fairy scent, so it’s incredibly sweet. It contains: Cherry Infusion, Almond Oil, Avocado Butter and Mango Butter. That is everything I got from Lush! I’m a little disappointed at the lack of Snow Angel and Snow-cake, but there are still some gorgeous products on offer. 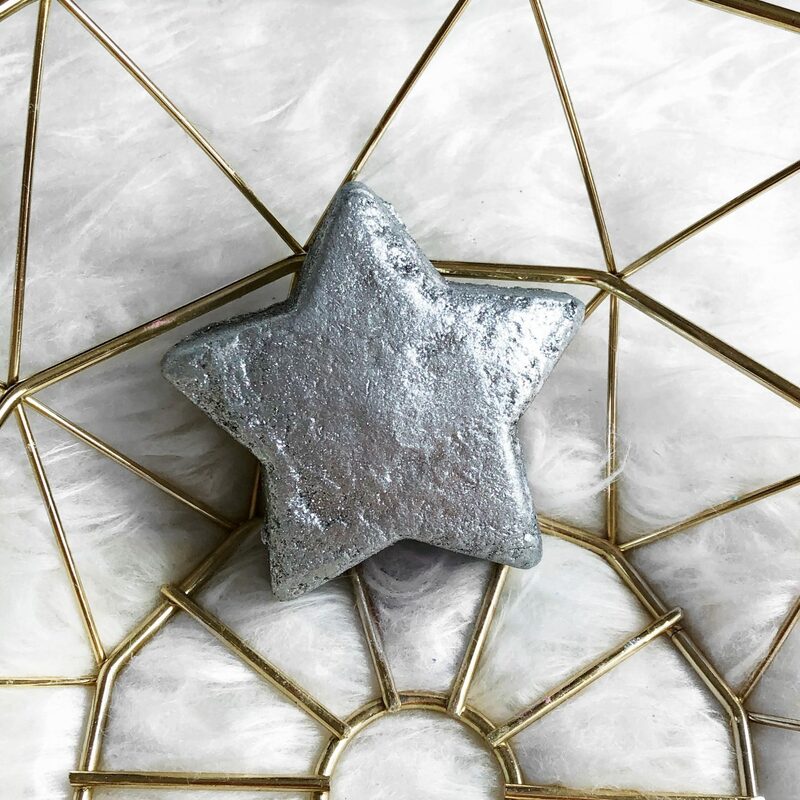 Whats your favourite thing from the Lush Christmas range? "Collective Beauty and Skincare Haul"
"Christmas Party Outfit Ideas with Quiz*"
I’ve heard so much about the Snow Fairy body conditioner! It looks amazing! 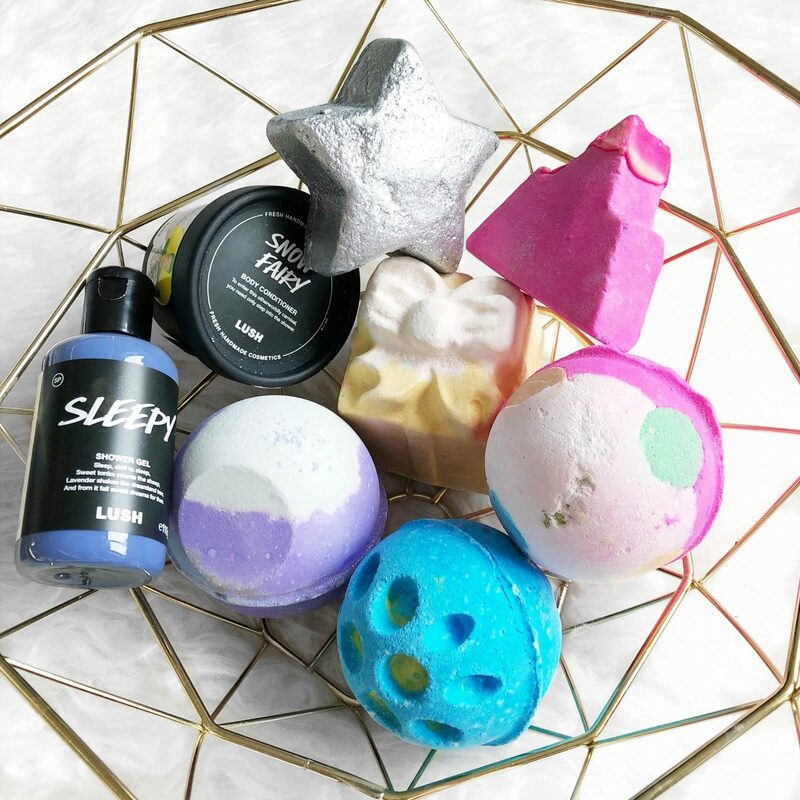 I am always in aw when I see people’s lush haul because… well… i have never bought anything from them… and I also don’t have bath tub but if I did, i’d defo get loooot of bath bombs because I love the sound and look of them! 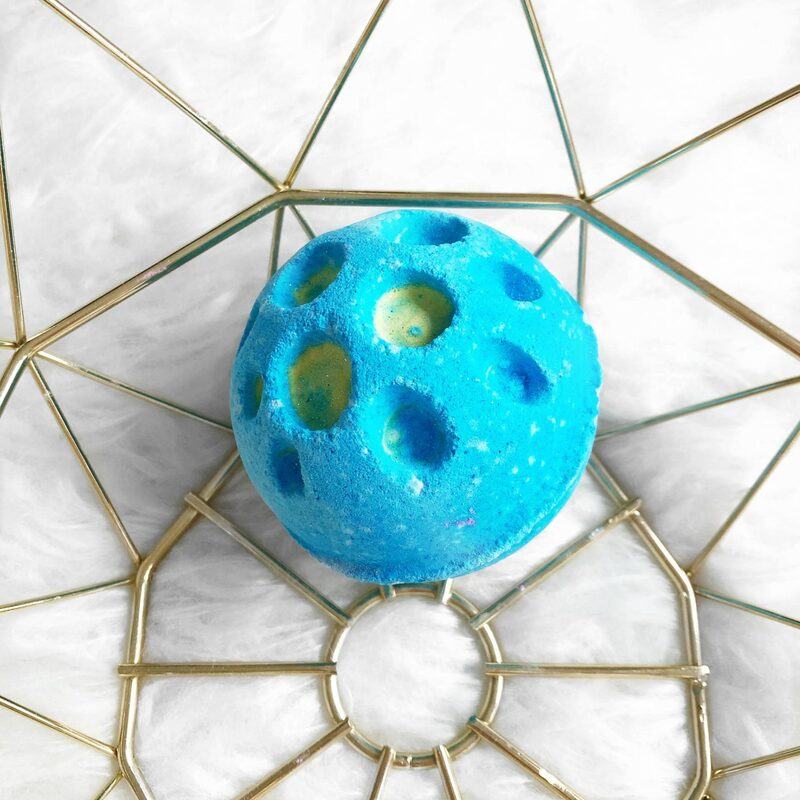 I’m looking forward to placing my lush Christmas haul order this week and I think the Goddess bath bomb is *hopefully* going to be the first in my basket! 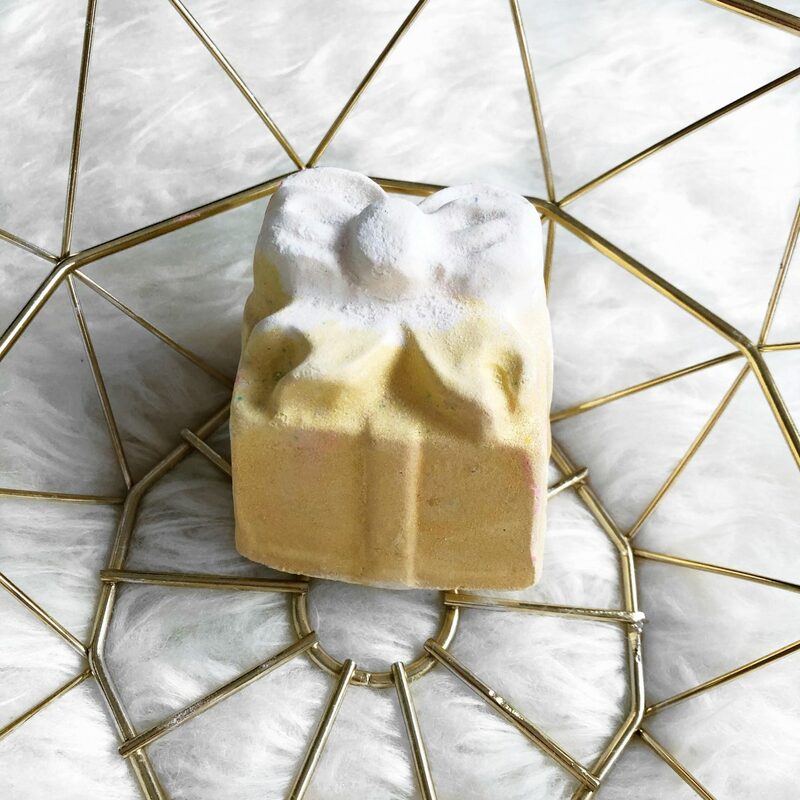 Lush is always amazing, but their holiday collection is one of my favorites! 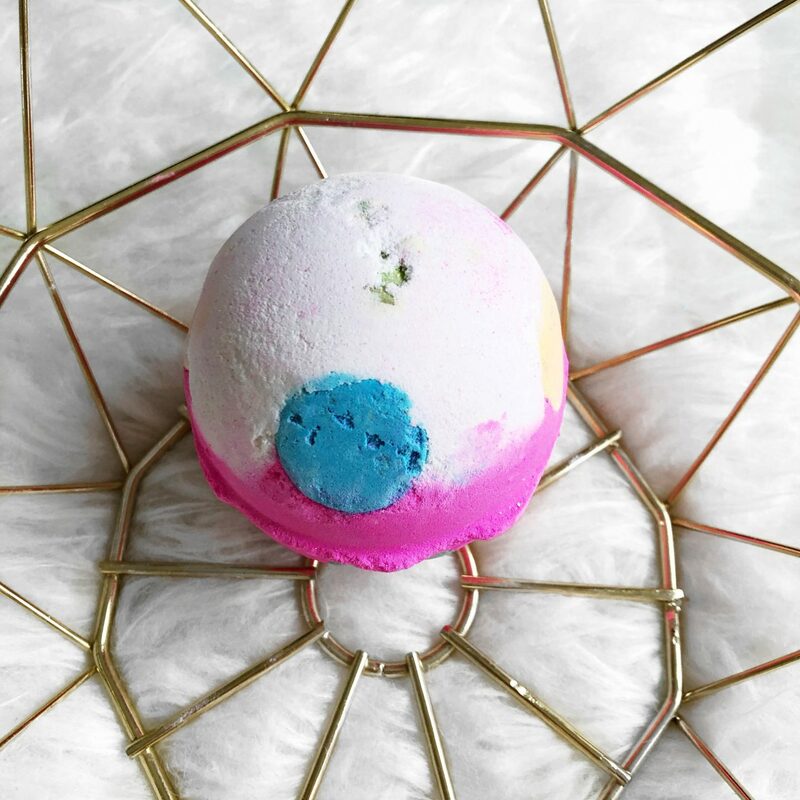 I love the Snow Fairy and use it constantly and I’ve been dying to try the Sleepy body wash.
I’m so jealous of all of your bath bombs! I’m tubless, so they are an indulgence I only get when traveling. Great post! Funny that I stumbled on your post, because I have the similar one scheduled for Wednesday. I love Lush, so I always go nuts when they have Christmas products. Of all the products your ordered I purchased the same bath bomb Holy Night. I also wanted to buy Goddess but they didn’t have it yet so I’ll go and buy it next or the week after that. I also have Snow Fairy body lotion, but in naked version. Shock horror but I’m only just really discovering lush now. I’m not the biggest bath-bomb fan which is why I’ve never really been drawn in. But a few of their products have caught my eye lately. That shower gel sounds like a must-have! Great post! I’ve only recently started buying from Lush. I recently brought one of their body washes and shampoo bars and the shampoo bar is one of the best things I’ve ever used on my hair. I did have a peek at their bath bombs and their Christmas ones looked and smelled the best. I may have to go back and buy some when I get paid! Snow Fairy is my favourite scent ever 😍 I remember trying the Golding wonder bath bomb last year and I loved it! Think I’ll have to go shopping soon! all of these things are so amazing and I would buy all of these for Christmas. Sleepy is one of my favorite scents from Lush, so I’m so happy to know that they make it in a shower gel! I’m going to need to pick that up. The price of their bath bombs usually makes me not want to buy them, but I might treat myself to a few for Christmas.